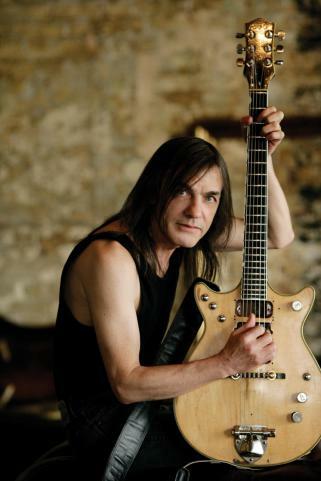 Malcolm Mitchell Young is a Scottish-born Australian guitarist best known as the rhythm guitarist, song writer, backup singer and co-founder of iconic rock band AC/DC. Born on 6th January 1953, Malcolm is the sixth child of the family who migrated to Australia when he was 10 years old. He picked up guitar at a young age and has been entertaining us since 1973. The co-founder of band AC/DC, how rich is Malcolm Young? According to recent estimations, Malcolm has a net worth of $100 million. His major source of income is obviously his ever successful career in music. As the band has sold millions of copies of albums to date, his wealth seems reasonable enough. Since his early age Malcolm had interest in music and had joined a band but it failed to succeed. At the age of 20, he founded the legendary band AC/DC and soon asked his younger brother Angus to join the band. The group suffered a serious blow in 1980 when the lead vocalist Bon Scott died effectively due to alcohol poisoning; the vacant spot was later filled by Brian Johnson. Later that year they released a new album “Back in Black” as tribute to Bon Scott. The album became their all-time best seller and took their name to new heights. Their next album “For Those About to Rock We Salute You” became their first album to reach number one in US charts. Since gaining prominence in 1970s, the band has released 15 albums to date. Malcolm’s wealth started to grow in 1973 when the band released its first album “High Voltage”. It was a huge commercial success in Australia and received 5x platinum certification from the Australian Recording Industries Association. It included hits like “Stick around” and “You Ain’t Got Hold of Me”. The album was released worldwide after a year, managing to sell over there million copies in the US only. The high net worth of Young should not come as a surprise as the band has managed to sell over 200 million album copies worldwide. Malcolm is considered as one of the richest and most skilled rhythm guitarists of all time. His riffs and skilled song writing has led the band to win over 12 major awards including a Grammy Award, MTV VMAs and many prestigious awards. In 2003, Young and other members of band were inducted into the Rock ‘n’ Roll Hall of fame. Regretfully, having been with his band AC/DC since its foundation, Malcolm retired from the band permanently in 2014 due to health related issues related to dementia. About his personal life, Malcolm is married to Linda and they have two children. Malcolm along with his brother has contributed largely to the Rock ‘n’ Roll genre. Hopefully he can now still enjoy the fruits of his many years in the music industry.